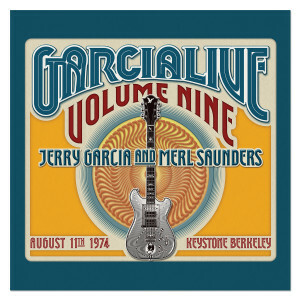 GarciaLive Volume Nine presents Jerry Garcia & Merl Saunders’ August 11th, 1974 performance at Keystone in Berkeley, CA. Joining Garcia & Saunders this evening were John Kahn on bass, Martin Fierro on saxophone & flute and the Grateful Dead’s Bill Kreutzmann on drums. As the site of over 200 performances by Garcia in various configurations, the Keystone Berkeley stage likely felt more like an extension of the Saunders’ family garage where the group would often practice. It was a space without pressure or pretense — one in which they could freely experiment with arrangements, new repertoire and, most of all, just jam. 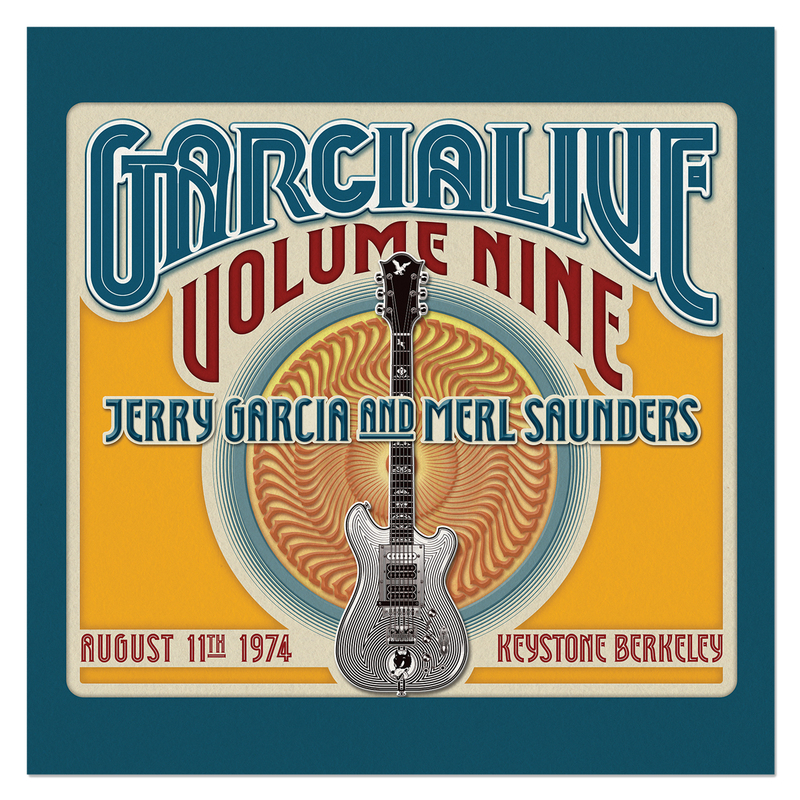 Saunders’ influence on Garcia’s musical development is plainly heard on GarciaLive Volume Nine. As Garcia once noted in an interview, "[Saunders] filled me in on all those years of things I didn’t do. I’d never played any standards; I’d never played in dance bands. I never had any approach to the world of regular, straight music. He knew all the standards, and he taught me how bebop works. He taught me music.” While the evening’s setlist focuses primarily on standards, the approach is anything but regular or straight. A free-spirited version of The Four Tops’s R&B classic “Ain’t No Woman (Like The One I’ve Got)”, one of the evening’s easy highlights, showcases Garcia & Saunders' ability to reimagine standards through inventive arrangements and fiery virtuosity permeated with soul. Other standouts from this performance include a surging “(I’m A) Roadrunner” and an extended take on Jimmy Cliff’s “The Harder They Come” which clocks in at nearly 20 minutes. Great CD. I have all in the series. Only problem is that disc 1 digital track listing of songs is wrong. So many great lineups with JGB over the years/decades. The Martin Fierro years/shows are always a treat. The nuances of the flute and various sounds of the saxophone - imo he could have easily been a permanent member of the band! Merl has always been amazing -- under appreciated in the music world -- loved and cherished fans of the Band, but not recognized enough (again my opinion) in 'mainstream' (whatever that means). The 73-75 years are some of my favorites - long, drawn out musical journeys, keep putting them out. I couldn't imagine seeing them at the Keystone - capacity of 500-600, like seeing Jerry in a bar!! I saw the Band at Kaiser in 87, I thought that was a nice small venue, but 500 people, those must have been some fun times. Anyway, my review---you can not go wrong purchasing Jerry shows from 1974! This will be a Christmas gift for my husband. As such, it hasn't yet been opened, but I am sure it will be a great cd to listen to in the car or at home. Please release all the Grisman/Garcia Shows ASAP!!! Jerry, Bill Kreutzmann, Merle Saunders, Martin Fierro and John Kahn are so totally on the same page musically that these recorded jams appear to be effortless and fantastic. I've been listening to them a lot. Garcia Live Volume Nine is super! So happy with this release! Another amazing addition to the Garcia Live series. Awesome Jerry and Merle show - check it out! I often find reviews to be self-serving; someone wants to make a point and be heard. To me they are also often either overly effusive or incredibly harsh. An artist puts his or her work out there and you can enjoy it or not. I love Jerry and his music and I also admired his work ethic and his devotion to the music and the craft. What the estate is doing with his collection carries on his commitment to be ever evolving and faithful to the music. I also really like that the CDs I get are so beautifully mastered and that the show selection is so good. To this day the man still puts a smile on my face when I can hear and feel through the sound his excitement and enthusiasm with a lyric, note, or chord progression. So for me to “review” the releases in my mind is a disservice. Rather, I just love them and encourage anybody who wants to hear real, faithful, and genuine music to give them a try. Just the stellar Harder They Come followed by the lyric-less but one of the greatest long Jerry jams ever Ain't No Woman are worth the price of admission. Always great recordings. Love the Garcia live cds.